If you’re one of those folks that likes to swing flies for salmon, steelhead, or even trout and typically use a longer two-handed spey or switch rod, electrical tape can be one of your best friends. Swinging two-handed rods with heavy lines and big flies puts a ton of force on the ferrules, and as we all know loose ferrules can break rods. There’s a simple fix, beyond waxing your ferrules. It’s called electrical tape. Simply take a wrap or two around each section and voilà, you’re rod will not come apart, ever—or at least until you remove the tape. 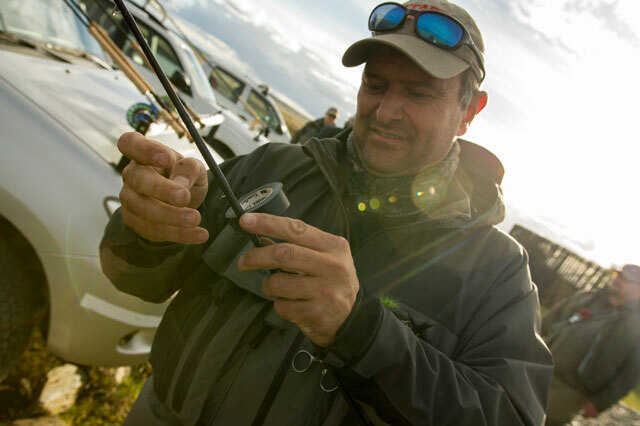 Electrical tape is super durable and its adhesives won’t damage your rod. Or conversely if you’re a person that keeps a smaller, one-handed rod together all season for quick jaunts to your local pond or stream this is also a very good solution. It will make sure there’s no rod breakage from loose ferrules during travel.